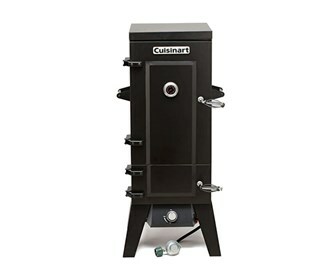 The Cuisinart COS-244 is a vertical 36-inch propane smoker provides ample smoking space with its 4 stainless steel racks and 784 square inches of cooking surface. Turning the valve on a propane tank and twisting the control knob is all it takes to start this smoker. The tightly sealed doors will help with consistency while adjusting the back vent will raise or lower the smoker's temperature. 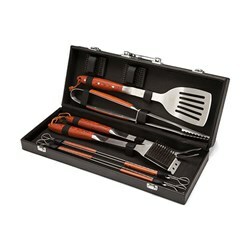 This smoker doesn't have to just be used for large cuts of meat and long smoking sessions. With the ease of use and multiple cooking racks, you'll be able to smoke fun new appetizers for a party or even a more traditional meal during the week. 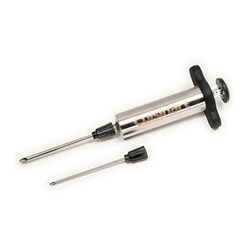 The propane smoker will add wonderful smoky flavor to anything you put inside. Smoke some chicken breasts for dinner in under two hours, some stuffed mushrooms for one hour, or a thick cut of meat for 10+ hours. The possibilities are endless with this propane smoker and smoking food has never been easier. 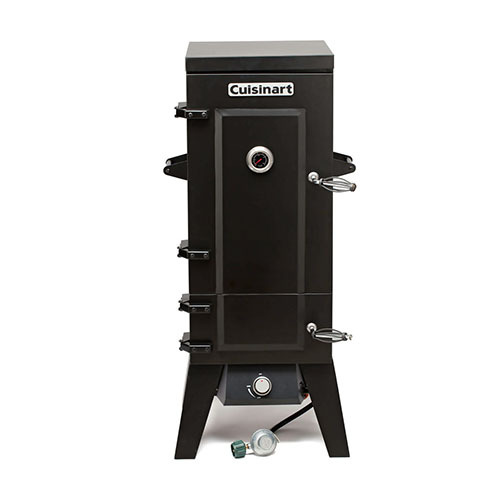 The Cuisinart Vertical Propane Gas Smoker has many exciting features for users of all types. 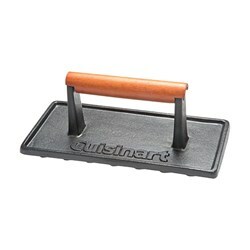 You can extend the lifetime of your Cuisinart Vertical Propane Gas Smoker with the purchase of a FactoryOutletStore Factory Protection Plan. 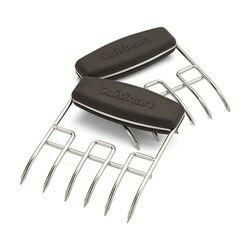 See the Cuisinart Vertical Propane Gas Smoker gallery images above for more product views. 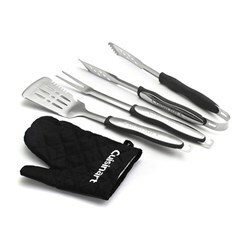 FactoryOutletStore stocks a full line of accessories like Cuisinart 10-Piece Premium Grilling Set, Cuisinart 3-Piece Grilling Tool Set with Grill Glove, and Cuisinart 3-Piece Professional Grill Tool Set for the Cuisinart Vertical Propane Gas Smoker. 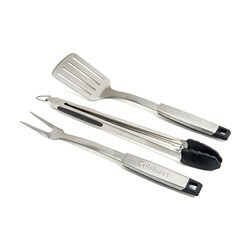 The Cuisinart Vertical Propane Gas Smoker is sold as a Brand New Unopened Item.